For all of you who don't settle for the good but you are seeking for the perfect in your daily workout and diet, we have manufactured the most pure and efficient protein formula exclusively from isolated and hydrolyzed whey. Enter the CLEAR ISO ZERO. With 22g of the most digestible protein on the market and 4.7g of BCAA in each dose, you can attack and neutralize muscle catabolism at any time of day and especially immediately post-workout where your muscles have worked hard and need the best quality protein to recover. With 0% sugar and lactose content, this product is ideal not only for those who follow a low-carb diet but it's also ideal for those who face digestive problems and find it difficult to absorb the protein derived from milk due to its high lactose content. The only way to achieve muscle growth is muscle protein synthesis to exceed muscular degradation and CLEAR ISO ZERO's high content in all essential amino acids, stimulates muscle growth and prevents muscle loss. 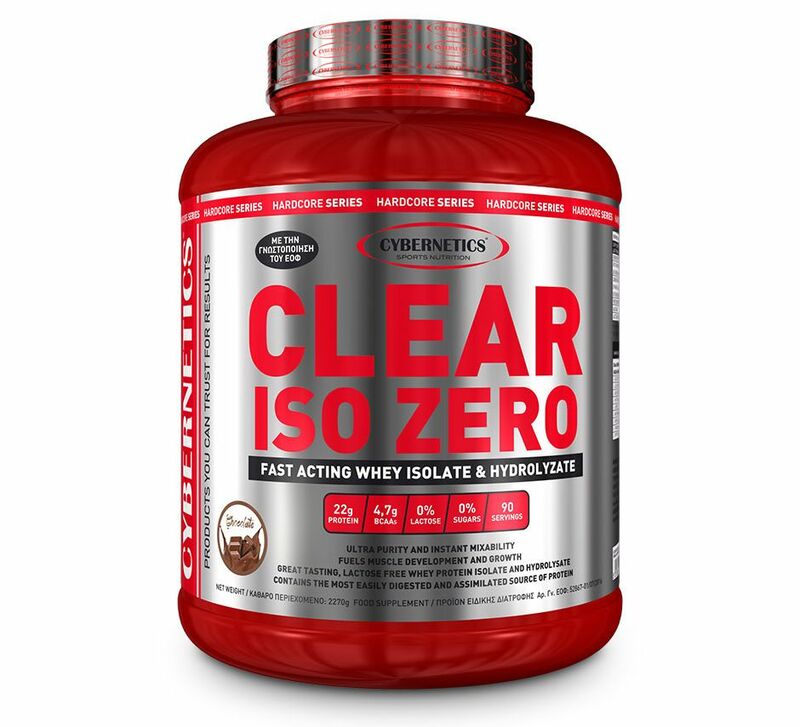 CLEAR ISO ZERO is the most pure and better way to achieve muscle growth, support lean muscle mass gains, boost metabolic function using more stored fat for energy, improve health and wellness levels and quickly regain form, especially if you come from a long period of abstinence from workouts and diets. Mix 1 serving with 300ml of milk or 200ml of water. Prepare your drink using a shaker or a blender. You may consume up to 3 doses a day (at breakfast, between meals as well as pre- and post-workout).